Herman Pedtke was my uncle. Herman Pedtke was a teacher of mine at DePaul University, back in the 70’s. He had a no-nonsense approach in the classroom that some of the students did not always appreciate. I did, though. We were aware of his invention called the scalatron..and one day he asked if I’d be interested in working with a guitar version of the instrument. (I was a major in classical guitar.) I felt quite honored by the offer and I thanked him but begged off. “Thank you, Mr. Pedtke,” I said. “But I already have enough trouble with 12 tones to the octave!” It was an unusual time for “modern music”, the beginnings of synthesizers, and performance art. Another one of our teachers, Phil Windsor, had Pauline Oliveros visit our smaller classroom. She shared a piece she had written for clucking human voices, tape recorder, slide projector, and woman in a bathing suit laying across the teacher’s desk. It was quite an eye opener! But Herman was a more refined, traditional, and ” serious” musician. output and had no real musical tone was its downfall. Herman Pedtke was my Father. I have many of his original files and equipment for the Scalatron in my possession. Also he was interviewed on a Chicago radio station in the early 1970’s, the exact year escapes me. I have the recording. He was instrumental in getting this technology off the ground, having had these ideas in his head for years and years. I have not kept up with where it all progressed, but one day hope to go through all I have in my possession and decide where it best resides, from a historical standpoint. It was a great passion of his, no doubt. 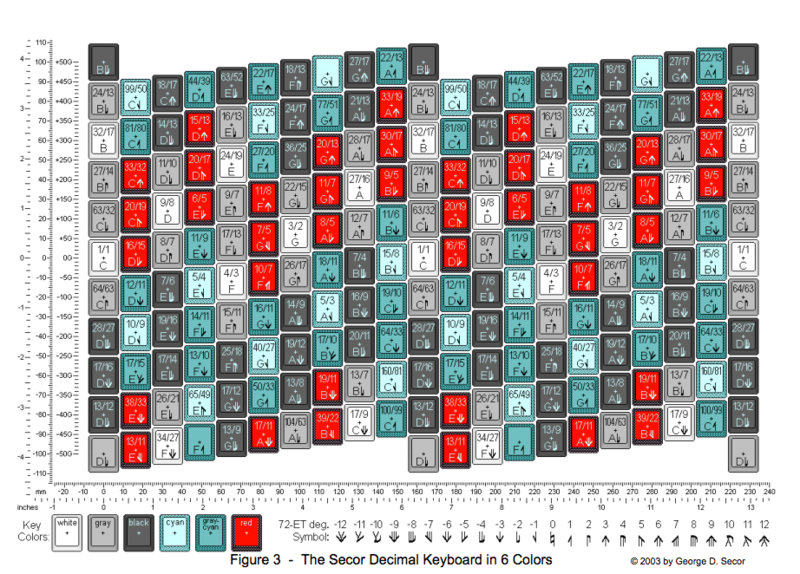 The illustration labeled “Secor Keyboard Diagram” is NOT the generalized keyboard layout (originally invented by Robert Bosanquet) that I proposed for the Scalatron. It is my design for a “decimal keyboard” (having 10 lateral keys per octave) which allows mapping the 31, 41, and 72 divisions of the octave, as well as Harry Partch’s just intonation and (what would later be named) the Miracle temperament. This diagram has nothing to do with the Scalatron and does not belong in this article. 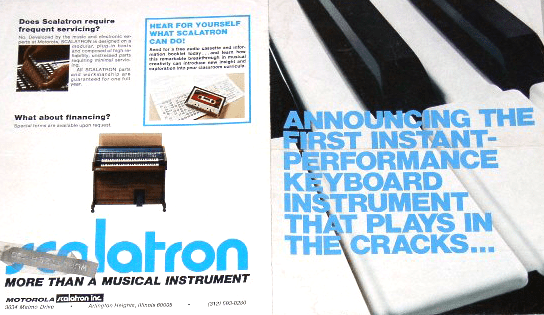 Most articles about the Scalatron (and this one is a lot better than most) contain other inaccuracies, and I feel that it’s time to give credit to those who had a major part in the development of this unusual instrument. The concept of an electronic musical instrument with digitally programmable pitch originated with Herman Pedtke, and it was inspired by the appearance of electronic music instruments with programmable rhythm (a/k/a drum machines). I understand that Pedtke was a neighbor of Motorola employee Richard Harasek and that the two were frequently in contact, since both were musicians. Harasek was intrigued with the idea and succeeded in getting Motorola to support a new subsidiary under its New Ventures program. 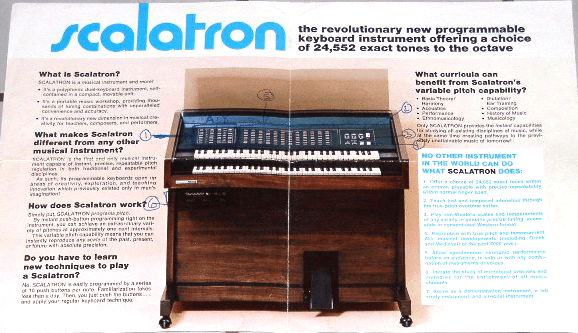 The Scalatron was developed by the Motorola Scalatron company with Harasek as president and Don Ryon as electrical engineer. 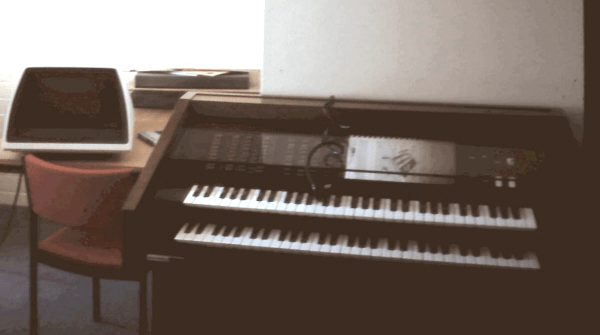 The product was basically a two-manual electronic organ with independently retunable keyboards. 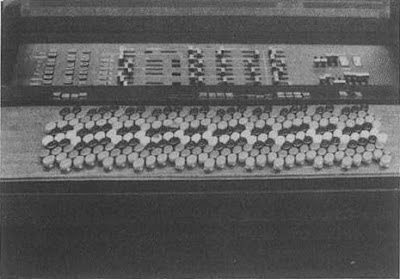 My proposal for a generalized keyboard came several years later, and Erv Wilson provided valuable input regarding the most optimal shape for the keys.